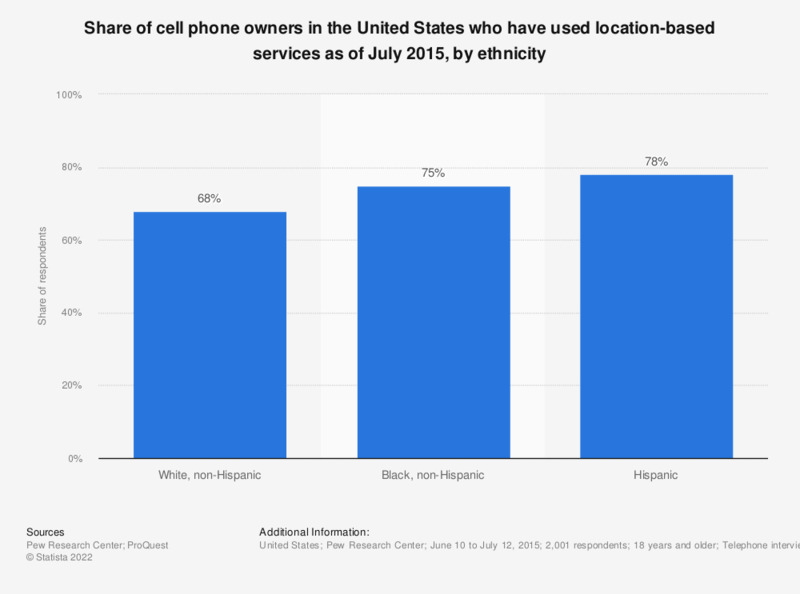 This statistic gives information on the percentage of U.S. adult cell phone owners who used their phone to look up directions, recommendations, and other information related to their location as of July 2015, sorted by ethnicity. During the survey, it was found that 78 percent of Hispanic cell phone owners in the United States had accessed location-based services via mobile. Percentage of of cell phone owners who get directions, recommendations, or other information from their phone related to their location.